Recently I decided to be bold enough and ask if I could reviews the Audubon apps. Their answer was very quick and I was pleased to see that they agreed to provide various promo codes for the selection I had asked. Essentially, I had asked for all the different apps that covers the North America. Being an homeschooler, I am always on the lookup to see if I could find interesting apps that would help us to discover more about the various birds, plants, trees, bugs, and animals we could encounter while camping. Being able to travel with our RV, we could be anywhere in Ca nada or the US at any given spring, summer or fall months. The previous week-end before I requested these apps, we had gone to our campsite to open our RV after many months of colder weather. Even though it wasn’t as warm as previous years, we enjoyed the sunshine and went for a walk. Close to the place where our Zodiac type boat is located, we saw beautiful mushrooms growing on the trunk of a fallen tree. I admit that I am always curious to learn more about nature. I enjoyed my ecology and biology courses when I was in high school. But mushrooms always were a mystery for me. Thanks to the Audubon Mushrooms Guide app I am hoping to pierce the mystery surrounding the mushrooms and be able to identify the ones we often see while we are camping. The mobile app highlights each species with stunning photography and extensive descriptions. You will be able to identify mushrooms and fungi using the advanced search function, with fields including shape, cap shape, cap texture, color, gill stalk attachment, habitat, month, region, size, spore bearing surface, stalk cap attachment and stalk shape. This comprehensive field guide includes a wealth of reference material on mushrooms including, classification, parts, order, families, how mushrooms reproduce and grow, poisoning and much more. The first thing I realized was that I could browse by shape, order or name. But not being knowledgeable in mushrooms, I decided to select the advanced search if you don’t know anything about mushrooms… This is what I decided to do. The search facility is well thoughts. You can search by shape, habitats, regions, colors, sizes, months, cap shapes, cap textures, cap to stalk attachment, and stalk shapes. For my particular mushroom below, I proceeded to select the color, the month which was May and the region which was Eastern Canada. The result of this search gave me 33 different mushrooms. I then proceeded to select the Shape of the mushroom. From what I have checked in the All About Mushrooms section it looked like these mushrooms were in the polypores and other shelflike mushrooms family. The All About Mushrooms section will provide accurate information on the classification of mushrooms, parts of a mushroom, how mushrooms reproduce and grow, the various orders, how to hunt/collect and identify mushrooms, cooking and eating mushrooms as well as mushrooms poisoning. The new result of the search was giving me 7 results; birch polypore, luminescent panellus, oyster mushroom, ruddy panus, thin-maze flat polypore, turkey-tail as well as the winter polypore. I think I have nailed it to two options. It is either a thin-maze flat polypore or a winter polypore. I wish I had taken the time to check under and look at the stalk and spores. My gut feeling to bending toward the thin-maze flat polypore though. Now if you happen to know which type of mushroom this is, please feel free to comment and let me know. We have also seen the following mushrooms on a fallen birch tree. I am still trying to figure out which type of mushrooms they are. They were quite small compare to the previous mushrooms above. But if you look closely, you can see moss on some of them. This makes me think that it could be some mossy maze polypore. The app is definitively a great addition for our family as we love to explore our surroundings while we are camping. I am not quite ready to try eating the wild mushrooms in the forest just yet but with more education on them, it would be interesting to try one of these days. If you are considering using this app to identify mushrooms that you could it, it is better not to use it for this. There is a specific warning right at the beginning asking you not to do that. The creators behind the app do not recommend eating a wild mushrooms unless you have an expert with you due to the severity of identification. The app does specify which mushrooms are poisonous but this app is NOT meant for identifying mushrooms to eat. Just because some mushrooms do not have the "poisonous" label does not mean that they are edible or that you have identified them correctly using the app. I have been told NOT to use this app to identify mushrooms to eat. Essentially this app is meant as a field guide to identify mushrooms for scientific and observations and NOT for consumption. If you are interested in determining of a mushroom is good to eat or not there are other apps in the market for that. Please note that many mushrooms look similar and could easily be misidentified. The repercussions of ingesting misidentified mushrooms can be life threaten and or deadly. Be wise. Take a course to become an expert in identifying which mushrooms in the wild are good to eat. The Audubon Mushrooms Mobile Field Guide App is available at the app store for the price of 9.99$. Learn to read, write and spell phonetically while composing words and creating stories. This app is based on the methodology of the famous Montessori moveable alphabet. Created by a team of Montessori educators and parents, Alpha Writer is a unique and interactive way to introduce your child to the world of language. Alpha Writer includes two highly responsive and engaging sections based on the Montessori activity, Moveable Alphabet. This is a wonderful app to strengthen the phonetic learning in young children as well as for beginning readers/writers. The app has two different section; the Alpha and the Writer. In the Alpha Section, the app interacts with the child when it ask to find a specific object within the ones available. There are transportation, animals, clothing, body parts and more to pick from. Once the child has picked an item, he/she will hear the sound of it and then a voice will say the word. The child has to use the letters on the top of the screen to be able to write the word. For example, for the box the child would have to select the letter B, O, and X and drag them on the table. In the Writer section, the child will have the opportunity of practicing how to write short sentences for a story. Using the alphabet as well as images, the child is able to write little sentences like “the plane is fast”. In a way having the opportunity to apply the learning done in the first section of the app is wonderful. The child is learning and has fun at the same time. As he/she completes a little story, mom or dad can use the camera to save what the child has written in the camera roll on the device your are using. I think this app is a great introduction to phonetic as well as how to write little sentences. It doesn’t overwhelm the child with rules like capital letter and punctuation. However, the app is flexible to allow the child to include images in his sentences to make it more fun to learn at the same time. For us, we have used the app as a supplement after learning the phonics while homeschooling. My son enjoyed being able to write little sentences by himself has well. I would recommend this app for anyone who have a child in the ages of 3-5 years old (or older for kids who are struggling in learning how to write and spell). Alpha Writer is available on iTunes for the price of 4.99$. Humility is not an easy thing to do. How many times I felt “proud” of myself, of my husband, of my kids, of what we did that I wanted to shout it out over the top of my lungs. With age I get wiser though. There is no point of rubbing it out in the face of people. I prefer to shut my mouth even though sometimes I just want to say sometimes. After presenting what humility is and considering if pride is always a bad thing, the author will go through various possible aspects to identify and control pride (the teaching theme of the book) in our life. Pride can become a root while we are self-righteous, self-pity, hypocrite, boasting and other ways. Kendall is giving example throughout the book from himself or from others which permits you to visualize the pride discussed in each chapter. He also highlight plenty of examples from the Bible as well. I will admit that I am still reading this book but my objective by the time I have finished it is to better understand pride in my life and become more humble about myself. I was to be able to come to the point that I can do something without looking for acknowledgement from others including my family. Jesus served others and never looked at getting recognition. 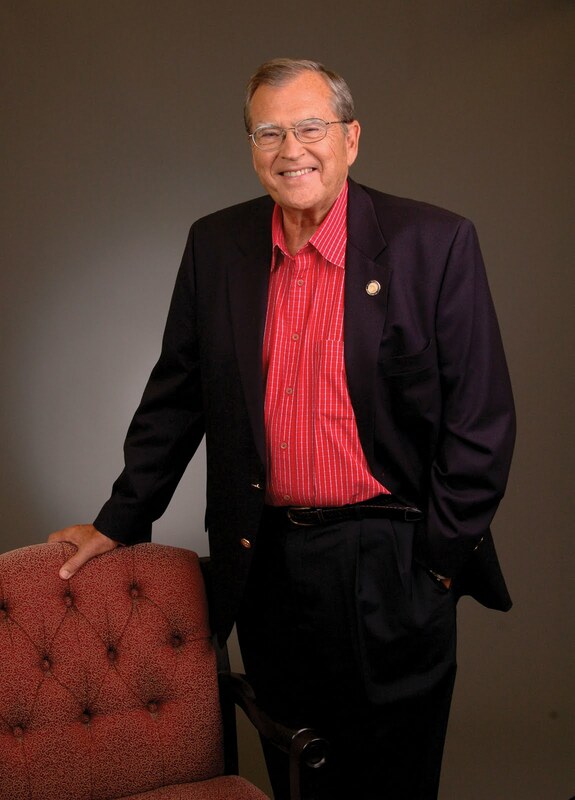 I want to be like him as I know that sometimes I lack humility and brag about things going on in my life. 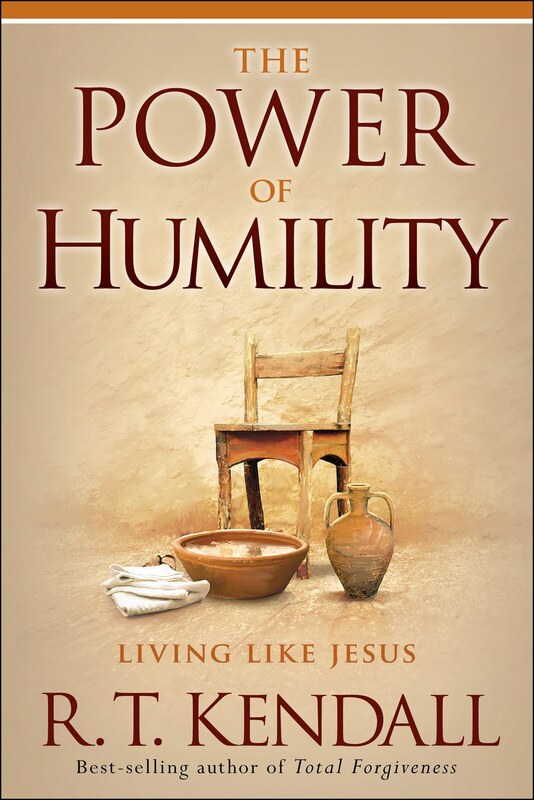 The Power of Humility is available at your favourite bookstore, even amazon.ca. Do blogs, books, magazines, and well-meaning women in your life have you questioning your mothering intuition? Jean Blackmer is here to tell you that you are the best mom for your children--and you have what it takes to raise them. With personal stories from real moms and proven, practical advice, MomSense helps you honestly assess your skills, embrace your mothering instincts, and develop your own unique mothering style. Rather than pushing one "right" way to be a mom, this hope-filled book shows you that you can have contentment, joy, and confidence in your role as Mom. Jean Blackmer is the publishing manager for MOPS International where she gets to develop books designed specifically for moms of preschoolers. She is also the author of a book for moms of boys, Boy-sterous Living! Celebrating Your Loud and Rowdy Life with Sons, is a regular contributor to MomSense magazine, and has written for other magazines including Guideposts, Thriving Family, Today's Christian Woman, and Christian Parenting Today. She has her masters degree in journalism from the University of Colorado at Boulder and lives in Colorado with her husband, Zane, and their three sons. The book is divided in three sections. Section one will help you discover your MomSense. The second part of the book will help you practice your MomSense in various aspects. My oldest son will be 10 this summer. We are going through the double digits now… With him, I have experienced numerous first things from bringing him home to broke bones. His siblings (two boys and one girl) will have a more experienced mom. However, I find that I am experiencing some first with my daughter too! Still even though I have been a mom for 10 years almost (his birthday is in June), I sense that I still have progress to make in my life. The author is offering practical tips and tools to develop the elements needed for being successful in motherhood. Theses elements are patience, respect, consistency, perspective, self-control, calm, joy and love. The second part of the book is developing each of these elements. The third section of the book will guide you to look beyond the MomSense so that you can have a strong marriage, a wonderful parenting partner, find some mentors in your life, and trusting God with every aspects of your life. Because let’s admit it, God is in control of everything when you think about it. Each chapter will also give you an idea of what other moms think about the theme of the chapter, questions to think about once you have read a chapter (hey a good way to do a discussion group with other moms don’t you think? ), some experts opinions as well as stories from real-life moms. I can think of many times when my MomSense kicked in and I was right about something in my kids’ life. But sometimes we are also prone to worry about what others are thinking. This book will help you to develop your self-confidence in the way you are parenting your kids. I find this book being good for first time moms as well as older moms. Anyone can use a little bit of encouragement in the way they are parenting their kids. Don’t hesitate, check out MomSense. MomSense is available at your favourite bookstore, even amazon.ca. Disclaimer: This review was possible because the book has been provided courtesy of Baker Publishing Group and Graf-Martin Communications, Inc. I was not monetarily compensated for this review. Please note that the review was not influenced by the Sponsor in any way. All opinions expressed here are only my own. This morning I proceeded to draw the name of the person who won the DK book: Kitchen Garden Cookbook. Mitch1066 has 24 hours to contact me with a Canadian mailing address. If I don’t have news from her tomorrow morning, I will select another winner. Dove is searching for All Star Dads in Canada. It doesn’t matter if fathers are pro-athletes or stay at home dads; in the eyes of their families they are All Stars because they care. Since May 17th, Canadians can nominate the real All-Star Dads in their lives by sharing photos and stories at Facebook.com/Dove. Canadians can drum up support for their favourite All-Star Dads by “sharing” submissions with friends and family. Even Canadians not making a nomination can still support their favourite All-Star Dads on the page by clicking the appropriate “support” buttons within the gallery of submissions. Check regularly to get a real-time update of the support generated for your favourtie All-Star Dad! After six weeks, a roster of 20 All-Star ads receiving the most support will receive a years’ supply of Dove Men+Care product. Three special All-Star Dads from the final group of 20 will receive a grand prize for their families. This will consist of a special all-includive CFL VIP Experience including a trip for four to the 99th Grey Cup game at B.C. Place in Vancouver, with hotel room, round trip transportation and four tickets to the Grey Cup game. The All Star Dad could win 1 od 3 exciting CFL VIP Experiences of a trip to the 99th Grey Cip game in Vancouver, B.C. for himself and his family (up to 4 people). Be selected as one of 20 dads chosen to be featured in the Dove MEN+CARE 2011 Roster of All Star Dads, and receive a Year’s supply of MEN+CARE products, with a total value of $120$. My husband is definitively an All-Star Dad as he doesn’t hesitate one second to spend time with his children. He has decided a few years ago to do special outings individually with each one of our four children. The kids are looking forward for their one-on-one time with dad every summer. He also build memories with them by bringing them fishing and watching special TV shows like Star Wars Clone Wars/Reboot with them. My husband is a wonderful man who also supports me as we have decided to homeschool our kids. He is present in my life and the kids’ lives because he has made the decision to never work too much. He owns an IT business and makes sure that he has quality time with his family. A few years ago, he decided that buying an RV would allow us to spend more time as a family. He was right, because since then we were able to build amazing memories while travelling together in Canada and the U.S. One of our dreams would be to tour both countries with the RV. My husband is an amazing Dad and I wouldn’t change him for all the money in the world! maximum essay and a photo of him on the Dove Men+Care® All Star Dad Search nomination form application on the www.facebook.com/ Dove page on Facebook. Nominations must be confirmed by the potential entrant before they are confirmed as an entrant. Limit of one entry per entrant/email address. 3 Grand Prizes available to be won, each consisting of a trip for four to Vancouver, British Columbia, each with an ARV of $7500. 20 Finalist Prizes available to be won, each consisting of a supply of Dove Men+Care® products and inclusion in the online Dove Men+Care® 2011 Roster of All Star Dads, each with an ARV of $120. Odds of being selected as a prize winner depend on the number and calibre of eligible Entries received during the Contest Period and on the number of shows of support received during the Contest Period. Mathematical skill testing question required. For full contest rules, visit www.facebook.com/Dove. Disclaimer: I was not monetarily compensated for this post. I thought Canadians should know about this opportunity. All opinions expressed here are only my own. I have always loved the movie “Sound of Music” which gives a glimpse of the life of the von Trapp during the 2nd World War. When I was younger I must have watched this movie about 50 times and I still enjoy it to this day. This year I have watched it with my kids for the first time. However, as I grew older I knew there was more to it. I knew they have came to the U.S. and somewhere their descendants were managing a resort. But that’s all I knew. When I had the opportunity to read a book written by Maria von Trapp, I jumped on it. I am enjoying reading the thoughts of Maria von Trapp and her family on spiritual theme. Through my readings I have come to discover a different view of the scriptures and discovered a family openly talking about their faith. I am using this book as a devotional in a way. Each chapter get me to think about my faith and how to apply it in my life, with my family and out in the world. Scriptures support the text throughout the book. It is a delight to read something where the author’s faith can be felt throughout the chapters. While reading, you can see and feel the research done while reading the chapters of the book. Maria von Trapp is decorticating the events in the Bible so that her family (and us in the process) will understand their faith better. What a great way to explain history with a biblical context! I am seriously thinking of introducing this book as part of our curriculum when the kids are older. It would be a wonderful read during the high school years and a great way to discuss about faith together. For the first time also I have a visual of how the family looked like. I had never seen a picture of the real Maria and the rest of the family. This book also contains old pictures of the family. She is a wonderful story teller and this book is a great reminder of Christ presence in our life on a daily basis. I recommend this book to anyone wanting to discover the faith of a great family and see how you can deepen you own faith through it. Yesterday, Today, and Forever is available at your favourite bookstore, even amazon.ca. Disclaimer: Thanks to MasterBooks for sending me the books for review purposes. I was not monetarily compensated for this review. Please note that the review was not influenced by the Sponsor in any way. All opinions expressed here are only my own. It has been a marvelous journey but my attention is called somewhere else. I will continue to review books/products on this site and will pursue my certificate in Social Media as well. Homeschooling is a priority in our family and already I look forward for next year where I will have a preschooler, a grade one, a grade 2 and a grade 5. I intend to plan a schedule that will be adequate for us over the summer. I have also marked in BOLD BLUE the products that I particularly loved and consider like gems for homeschoolers. 00Well, I have posted my last review for the TOS Homeschool Crew. I won’t be returning next year for various reasons. I am leaving the boat in good terms. I have enjoyed my two years and a half with the crew. I received wonderful products that we will be using throughout the years to come. I have made wonderful friends and hope to meet with them one of these days. I have being blessed beyond measure during these few years. My biggest blessing was went I embarked in Feb 2010 and received my first product. I knew I had to incorporate geography in our homeschool but buying wasn’t possible. And I received the Olde Wold Maps from Homeschool in the Woods. I cried. Since then God has opened up more doors to receive other geography products as well as products to study the human anatomy. Embarking on the crew that first year back in 2008, I didn’t know what to expect. I re-discovered a passion to write to let people know about things… products and books more specifically. When I was in high school I was part of the newspaper and wrote about the events that were happening on a weekly basis. Simple and accurate. The journey was fantastic and as I reflect on it, I realize that God is guiding me through it. This year, I have been asked to become a regular blogger on Woodall’s and I take the time to write about camping and activities you can do with kids. Love it! I am also going through a Certificate on Social Media at Algonquin College which is fantastic. I am excited to see what is in store for the months/years to come. So to all my crew mates since the past three years, I say farewell and leave you this little song from the Song of Music. Visit me here at Canadianladybug Reviews!, at Life at Oak Grove and on Woodall’s. You can find me on facebook and twitter too! So long, Farewell, Auf Wiedersehen, Goodnight, Adieu, Good Bye! What’s in the Bible - Israel Gets a King!